The recovery of Coast Guard Dornier 791 aircraft wreckage from the seabed off Tamil Nadu coast on 10 July 2015 was the result of ‘never say die’ spirit and the unrelenting efforts of Indian Coast Guard, Indian Navy and other agencies. It involved almost 700 hours of surface effort and nearly 200 hours of air effort by the Coast Guard, Navy, other specialized agencies of the centre and Reliance Industries Limited. 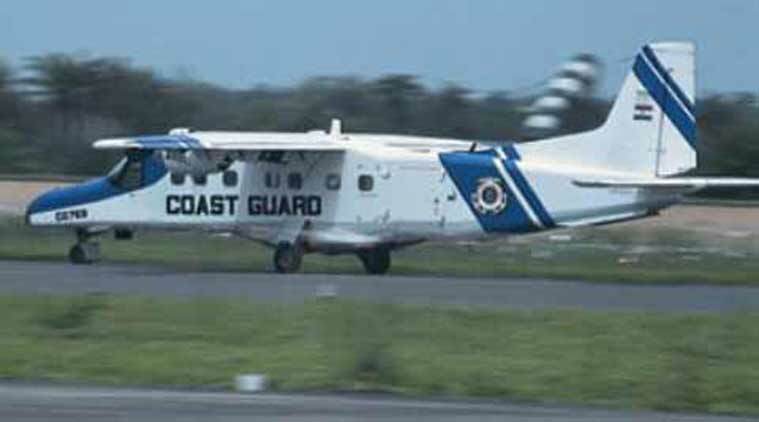 The ill-fated ICG Dornier CG-791 while on its routine night surveillance on 08 June 2015 suddenly disappeared from the radar located at Trichy when it was 32 miles north-east of Karaikal. At 2124 hours, the International Maritime Satellite (INMARSAT) terminal on board also suddenly powered off. Promptly the Regional HQs (East) launched a massive search and rescue (SAR) operational codenamed ‘Op Talash’ to locate the aircraft. Simultaneously, four ships and a long range maritime surveillance aircraft, P-8I, of the Indian Navy (IN) were also deployed for the operation. The Subsidiary Intelligence Bureau was also requested to activate the community information mechanism to sensitize local populace and fishermen were also apprised about the incident so that they could report sighting of any debris at sea. Initially, the Surface Search was undertaken based on information shared by Trichy radar. Subsequently, the initial position of the search was revised upto 70 nm seawards and the air search area was extended upto 180 nm based on inputs from Chennai ATC Radar and powering off of the INMARSAT. A ray of hope emerged on 12 June 2015, with the sighting of a thin oil sheen which proved to be short lived as the sample was found to be devoid of any oil derivatives. Thereafter a request was forwarded on 12 June 2015 to the IN and National Institute of Ocean Technology (NIOT), for underwater search. A Black Box detector from NIOT was fitted onboard Coast Guard Ship Vigraha. The major challenge in the conduct of the underwater search was that the seabed in the search area had a steep gradient. Though the IN ship reported receipt of 06 pings (sub-surface transmission) on 37.5 KHz frequency, however as no subsequent transmission were received, firm position could not be localized. Thereafter on 13 June 2015, IN submarine Sindhudhwaj commenced search in the area of 15x15 Sq NM. The submarine reported sporadic sub-surface reception but as the signal was weak, the position could not be established once again. NIOT Research Vessel (RV) Sagar Nidhi was also engaged for the seabed profiling but no aircraft debris was located. With no definite lead, assistance was sought from M/s Reliance India Limited for services of Multi Support Vessel (MSV) Olympic Canyon equipped with Remotely Operated Underwater Vessel (ROV) High Precision Acoustic Positioning Equipment (HIPAP) for undertaking sub-surface search, extended the support ‘on GRATIS basis.’ The vessel commenced the search in an area identified by ICG, spanning over 500 x 500 m area, utilizing underwater camera fitted on ROV. INS Sindhudwaj, redeployed by the Indian Navy on 06 July 2015, picked up a barrage of transmissions at a depth of 990 metres from the (SLB) Sonar Locator Beacon of the missing aircraft. This proved to be the precise thread to approach the elusive source. The Reliance, upon request redeployed the MSV on 10 July 2015 commenced the search in positions identified by the submarine. The breakthrough was made by MSV Olympic Canyon on the morning of 10 July 2015. 33 days after the ICG aircraft went missing, wreckage of the aircraft was found at depths of 990 meters in position 17 NM S/E of Cuddolore which included the flight data recorder, Two Engines, Propellers, Tail and tail cone, air frame parts, Maevest, the Single Line Replacement unit, parts of the fuselage, part of the landing gear and the Cockpit Voice Recorder by the Reliance Vessel Olympic canyon. The debris have been recovered from the sea bed by the vessel. The operation mounted for the missing CG 791 with participation of large number of national agencies is unprecedented in the maritime SAR history of India. Apart from ICG, the IN, IAF, NIOT, INCOIS, NRSA, Naval Physical Oceanographical Laboratory, Naval Operations Data Processing & Analysis Center, the Airport Authority Of India Limited, Coastal Security Group Tamil Nadu, Reliance Industries Limited & Omkar foundation have contributed to the undersea SAR mission. However, the role played by the IN submarine in locating the wreckage and more importantly by MSV Olympic Canyon in undertaking the mammoth task of salvage in rough sea conditions is very noteworthy. A Memorandum of Understanding (MoU) between the Ministry of Defence and Ministry of Skill Development and Entrepreneurship (MSDE) was signed here today to facilitate strategic partnership on skill development and entrepreneurship for supporting skill development initiative to contribute towards Nation Building and ‘Make-in-India’ initiative. The MoU was signed between the Defence Secretary Shri G Mohan Kumar and his counterpart from MSDE Shri Sunil Arora in presence of the Defence Minister Shri Manohar Parrikar and Minister of State for MSDE (Independent Charge) Shri Rajiv Pratap Rudy. Speaking on the occasion, the Defence Minister said that the MoU will provide impetus to using the skills of servicemen for the country when they retire from the Armed Forces. The servicemen will also take to civilian life some rare skills which they acquire during their service life. The Minister of State for MSDE also said that there are differences in nomenclature of jobs in certain cases that the servicemen do in the Armed Forces and in the civilian field and these need to be aligned. He expressed confidence that the MoU will be a harbinger of skill development in the country. The MoU will boost employability and acceptability of Ex-servicemen (ESM) by the industry for those service personnel who are on the verge of retirement or already retired. Moreover, to enhance their employability, these training facilities initiated by the Director General Resettlement (DGR) will be aligned with the National Skills Qualifications Framework (NSQF) developed by the Sector Skill Councils (SSCs). The signed MoU, will provide an opportunity for the Defence Public Sector Undertakings (DPSUs) and Ordnance Factories (OFs) to participate in skill development initiatives. As per Ministry of Human Resources Development Scheme in schools which are run by the Ministry of Defence (excluding Sainik Schools), it will also introduce vocational education at 9 – 12 class in a phased manner. The MoU signed will train and provide gainful employment to approximately 3 lakh ESM/their family members in five years starting from this financial year. It will also make available skilled youth to DPSUs and OFs by using their infrastructure, CSR funds, establishment of Centre(s) of Excellence and Development of Model ITIs etc. At the apex level, a steering committee chaired by the Defence Minister and Co-Chaired by the Minister of State for Skill Development will provide necessary policy direction for the implementation of this ambitious scheme. The Executive Committee for this scheme to be chaired by the Defence Secretary and Co-Chaired by the Secretary, Ministry of Skill Development and Entrepreneurship will oversee the smooth roll out of the clauses of the MoU. For the successful execution of the scheme, three separate implementation teams have been formed. While the DGR will head the ESM resettlement team, the DPSUs related components will be looked after by the Joint Secretary (ES), Department of Defence Production and respective education boards of Army, Navy and Air Force will lead their respective education component. The Programme Management Unit (PMU) will assist the Steering Committee and the Executive Committee. The Union Home Minister, Shri Rajnath Singh has said that 34 more Coastal Police Stations will be operationalised shortly in seven coastal states and Union Territories including Goa, West Bengal, Lakshdweep, Karnataka, Maharashtra, Puducherry and Andaman and Nicobar Islands. He was addressing the Consultative Committee Meeting of the Ministry of Home Affairs today at Panaji in Goa, which discussed in detail the Maritime Security issues including coastal, offshore and high seas. The Union Home Minister said that coastal security is an important feature in India's security planning and the coasts have defined our geographical boundaries for centuries. The vulnerability of our coastline came to the fore in 1993 when explosives used in Mumbai serial blasts were smuggled through sea route, he added. Shri Rajnath Singh said that when terrorists trained by Pakistan reached Mumbai in 2008 to launch an attack, they took the sea route and the Centre has taken several steps since then to secure our coastline. India's coastline is 7,516 kms long and several important cities and strategic installations are located on its coast, he added. Shri Rajnath Singh said that our Coastal Security network is a three tier system involving the Indian Navy, Coast Guard and Marine Police and we have achieved better coordination among the security agencies. Shri Rajnath Singh said as a part of strengthening Indian Coast Guard, two new Regional Headquarters have been established at Gandhinagar and Kolkata besides three new district headquarters at Port Blair, Puducherry and Kavaratti. The Director General, Coast Guard has been designated as Commander of Coastal Command and the Coast Guard has made Standard Operating Procedures (SOPs) in consultation with all stakeholders for better coordination among agencies. Based on these SOPs, several joint exercises have been carried out in all coastal states and UTs. He added that the Ministry of Home Affairs has also laid down a detailed SOP on functioning of Coastal Police Stations in the country. Deliberating on Coastal Security initiatives, Shri Rajnath Singh said, for a better coordination between the Centre and State Agencies for Coastal Security, the National Committee on Strengthening Maritime and Coastal Security will review timely implementation of various proposals and other important matters pertaining to maritime and coastal security. He expressed a need for effective coordination amongst various Central Ministries and Agencies and the coastal State Governments and Union Territories. All the members made valuable suggestions on the subject and the Union Home Minister assured that their suggestions have been noted and will be implemented after examination in the Ministry of Home Affairs. The meeting was attended amongst others by the Union Minister of State for Home Affairs, Shri Kiren Rijiju and members of Lok Sabha, - Dr. Bhagirath Prasad, Smt. Geetha Kothapalli, Shri Harichandara Deoram Chavan, Shri Hukum Singh, Shri Nalin Kumar Kateel, Shri Tariq Hameed Karra, Dr. Thokchom Meinya and Shri Mohd. Ali Khan, Shri Shantaram Naik, Shri Sharad Pawar from Rajya Sabha. The Union Home Secretary, Shri L.C. Goyal also attended the meeting along with senior officers of MHA and Indian Coast Guard. An important milestone was achieved today when the final blasting was done to open the India’s longest road tunnel between Chenani to Nashri on the Jammu – Srinagar National Highway. The event was witnessed by Minister of Road Transport & Highways Shri Nitin Gadkari. The project involves construction of approximately 9.2 Kms long main tunnel along with parallel escape tunnel interconnected by 29 Cross Passages at 300 metres interval. The escape tunnel will exclusively be used for pedestrians. Deputy Chief Minister of J&K Dr. Nirmal Singh along with various other dignitaries was also present on the occasion. Speaking on the occasion, Shri Gadkari said that the Central Government is committed to provide every possible assistance to the state in achieving prosperity and development. Citing the project as a path breaking success, Shri Gadkari informed that the tunnel meets all the safety standards with state of the art facilities deployed including fire safety and control etc. The tunnel will provide safe and all-weather route that will result in a significant time saving to the commuters travelling along the National Highway between Jammu and Srinagar. The tunnel will also reduce distance between Jammu and Srinagar by 30 Kms. The tunnel will ensure preservation of pristine forests in the ecological sensitive Patnitop area. Shri Gadkari while addressing the gathering informed that the project has already provided employment to about 2000 youth of J&K. This constitutes 94% of the total workforce that has been employed for the construction of this project from J&K. Shri Gadkari while applauding the role of the people involved in this ambitious project especially the employees of NHAI and IL&FS Transportation Networks Limited, said that this milestone would not have been possible without their tiresome efforts and immense dedication. This state-of-the-art tunnel project will also have parking spots after a specific distance to tow away or shift vehicles in case of a breakdown. The four-lane project would go a long way in creating an all-weather road to the Kashmir valley. On the occasion of the first ever World Youth Skills Day on 15th July 2015, the Ministry of Skill Development and Entrepreneurship (MSDE) will launch the SKILL INDIA Campaign. On this historic occasion, Prime Minister Shri Narendra Modi has consented to be the Chief Guest for the event to be held at Vigyan Bhawan, New Delhi. Announcing this here today, the Minister of State (Independent Charge) for Skill Development and Entrepreneurship Shri Rajiv Pratap Rudy has said that during the function, the Prime Minister will formally launch the “National Skill Development Mission”, unveil the new “National Policy for Skill Development and Entrepreneurship 2015”, and roll out on all-India basis the Ministry’s flagship scheme, “Pradhan Mantri Kaushal Vikash Yojana - PMKVY” – the pilot phase of which has already begun. He said, the National Mission will converge, coordinate, implement and monitor skilling activities across India. It will also be a vehicle to achieve the objectives of the National Policy for Skill Development and Entrepreneurship 2015, which will provide policy direction and guidance to all stakeholders in the skill development and entrepreneurship ecosystem. Shri Rudy said, the Pradhan Mantri Kaushal Vikas Yojana (PMKVY), the Ministry’s flagship, demand-driven, reward-based skill training scheme will incentivise skill training, by providing financial rewards to candidates who successfuly complete approved skill training programmes. PMKVY will skill 24 lakh youth, across India, over the next one year. For the first time, the skills of young people who lack formal certification, such as workers in India’s vast unorganised sector, will be recognised through an initiative known as ‘Recognition of Prior Learning’ (RPL), who will have a chance to be assessed and certified for the skills that they already possess. 10 lakh youth will be certified under PMKVY’s RPL category over the next one year. He said, the launch of the Skill India Campaign is an important milestone towards achieving the objective of skilling with Speed, Scale and Standards accross the country. This event would bring together key stakeholders including Central Ministries/Departments, State Governments, leading Industry Bodies, and trainees. Partnerships with all these these stakeholders is vital to ensure that Skill India, is a success. MSDE has initiated a range of cross-sectoral partnerships, across Ministries and Departments to scale up skill training efforts. Till date Eight cross-sectoral, overarching MoUs have been signed between MSDE and other key Ministries including (Ministry of Social Justice and Empowerment, Ministry of Health & Family Welfare, Ministry of Defence, Ministry of Steel, Ministry of Mines, Department of Chemicals and Petrochemicals, Department of Fertilisers and Department of Pharmaceuticals). In addition to this, two tri-partite MoUs have been signed between NSDC, NSDF and National Thermal Power Corporation (NTPC) as well as Power Grid Corporation of India Ltd.
Shri Rajiv Pratap Rudy said, widespread awareness and mobilisation drives have been initiated, parallel to the event to ensure that the message of Skill India, reaches out to every part of the country. All States/Union Territories have been roped in to organise functions at State/District headquarters in the presence of their Chief Ministers, in order to increase awareness of World Youth Skills Day. The national event is also being telecast live across more than 10000 ITIs, NSDC training centres, select Nehru Yuva Kendras, and some educational institutions in all States/Union Territories in India. With a view to focus on the most important stakeholder – India’s youth – trainees will be felicitated at the Skill India launch at Vigyan Bhawan, at Industrial Training Institutes (ITIs) and NSDC training centres, across the country. A ‘Skill Loan’ initiative will be launched at the event, where loans from Rs 5,000-1.5 lakhs will be available to more than 34 lakh youth of India, who seek to attend skill development programmes, over the next five years. Financial constraints will no longer be a hindrance to accessing skill training programmes. The entire idea of celebrating World Youth Skills Day on a large scale is to underscore the significance of skilling, vocational education and entrepreneurship amongst the youth of the country and make them feel that by skilling, re-skilling, and upskilling, they shall become an integral part of the growth story of India, besides carving out a career trajectory for themselves. The majority of India’s vast population is of working age. Urgent and effective action to Skill India is critical to capture the demographic potential of India’s youth, so that they can contribute productively to the economy. Recognising the centrality of skills to overall socio-economic development within and across nation-states, the United Nations, at its General Assembly in November 2014, declared 15th July as World Youth Skills Day. The resolution, endorsed by all UN regional groups, seeks to generate greater awareness and stimulate discussion on the vital role of skill training, in giving youth access to employment and sustainable livelihood pathways.